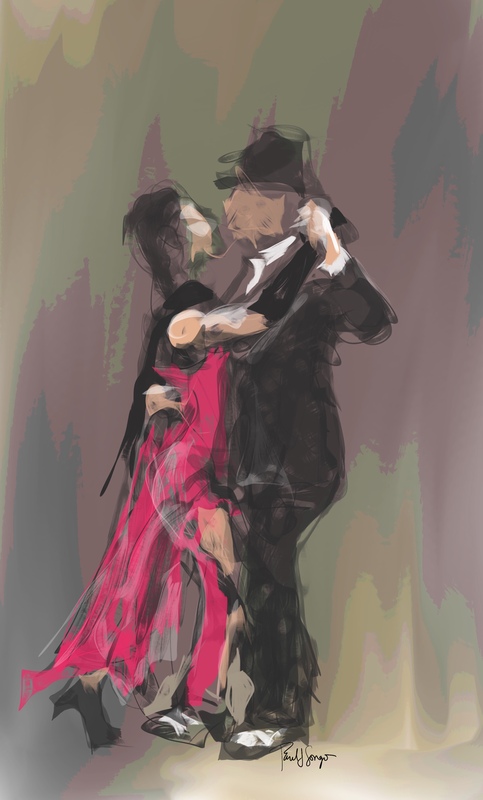 This entry was posted in Digital Artwork, iPad Art, Sketch club, Video and tagged Buenos Aires, Sketch Club, tango, Videoshop by portfoliolongo.com. Bookmark the permalink. I think our internet is running slow at the moment! Couldn’t get the videos to play – nevertheless, I can see lots of movement, in both the lines and colour of your drawing. Lovely work! I should be more mindful of uploading files that take so long to download, for example, by uploading videos to YouTube and then inserting that link into the WordPress post. I hope you find yourself in a burst of extraordinary connectivity soon to see the videos, but in the meantime thanks for the feedback on the “movement.” Thanks for visiting and for art and words! Yay! The videos are working fine for me now… So intriguing – love them both! Thanks, Janette, for being so persistent and for such kind words!